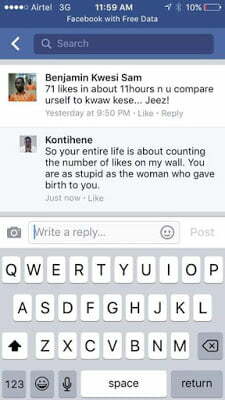 Celebrities worldwide have been targets of internet trolling and bullying for quite a longtime and those in Ghana have not enjoyed any form reprieve with this phenomenon. However, some celebs have found a way of dealing with such bullying on their social media platforms and that, is to fight back. 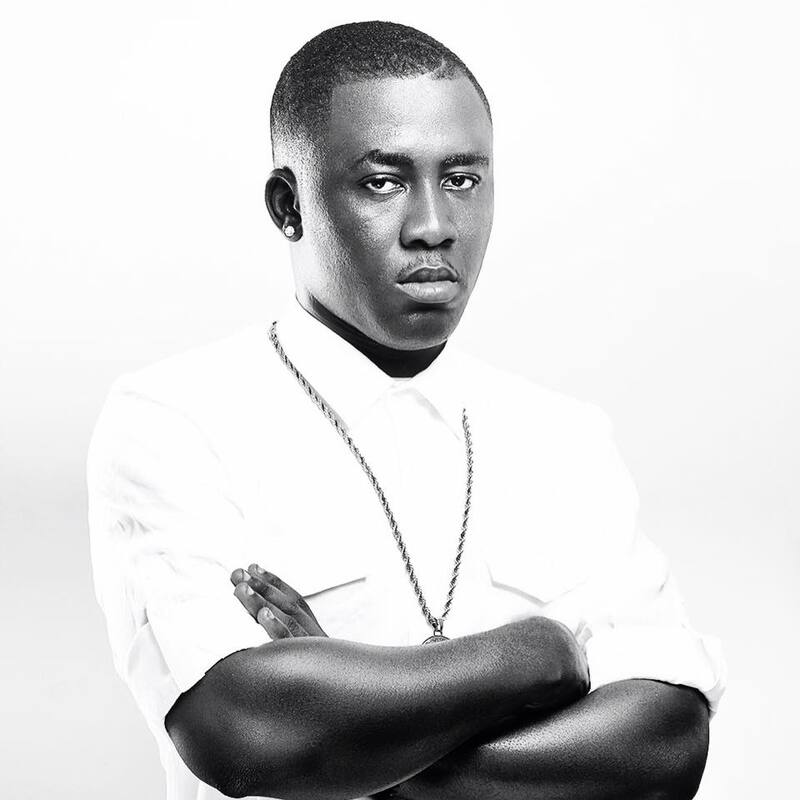 Kontihene, in recent times, have made the headlines for his feud with fellow rapper, Kwaw Kese, and his outburst with TV/Radio presenter, Amanda Jissih. 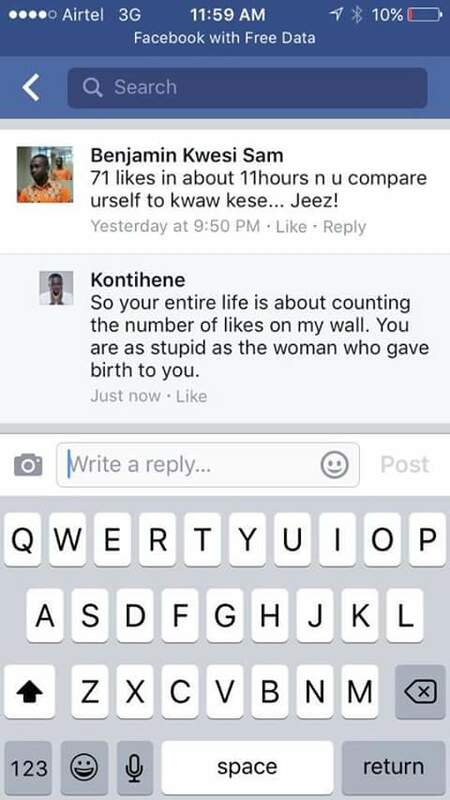 This time, he turned his attention to a disparaging fan who questioned his ability to garner ‘likes’ with one of his facebook posts – a comment that infuriated Kontihene, who responded with such venom, insulting the fan and his mother.